Who’s talking about the summer issue? 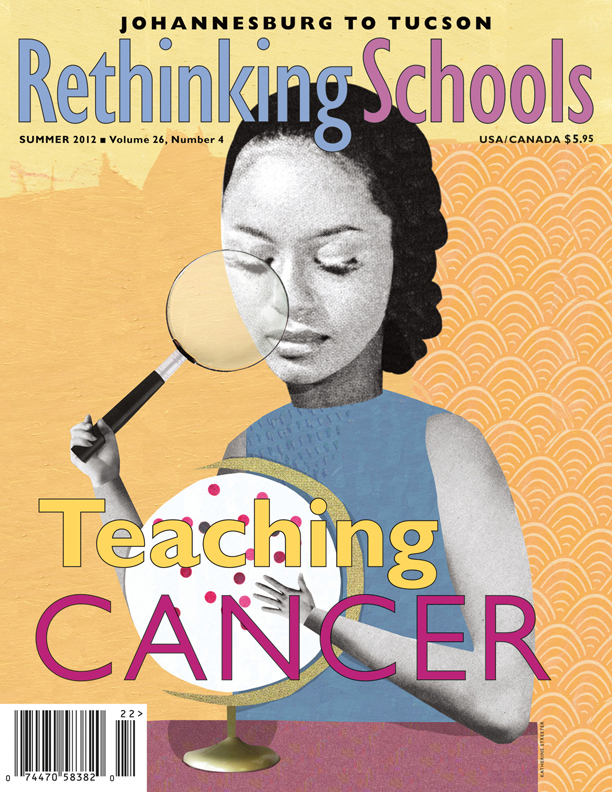 Our summer issue is out, and many articles are already garnering positive attention. We’re stoked that our editorial “The New Misogyny” spread on Twitter like wildfire. Thanks to Diane Ravitch for retweeting it to her 30,000+ followers! Read it now to see what the buzz is about. The Institute for Humane Education has a very fine blog, Humane Connection. They dedicated a post to a brief review of the issue focusing on two articles they believe embody the principles of humane education. The National Writing Project shared Linda Christensen’s article with their 7,300 twitter followers. “The Danger of a Single Story” is about an essay writing unit Linda completed with her high school students shortly following the tragic murder of Trayvon Martin. In addition to directing the Oregon Writing Project at Lewis & Clark College, which takes her into schools all around the Portland area, Linda also teaches a class at Jefferson High School (as a volunteer), where she taught for almost 25 years. Kris Collett is the Outreach/Marketing Director for Rethinking Schools. Posted on June 14, 2012 June 15, 2012 by Rethinking Schools	This entry was posted in Archives, Curriculum and tagged biology, cancer, environmental justice, essay-writing, evaluation, fracking, national writing project, science, social justice education, teacher quality, twitter. Bookmark the permalink. Thank you for posting this educational blog…. Thanks for the mention, Kris! Rethinking Schools is recommended reading for all our graduate students and participants in our online courses. You rock!